Why Is My Heart Beating Fast? When your heart is beating too fast, you’re short of breath, and you’re having chest pains, it is a terrifying experience. You ask yourself, “Why is my heart beating fast, feeling as it is going to explode out of your chest? Why am I tingling, dizzy, and feeling nauseous? Am I having a heart attack? Or am I suffering a panic attack?” Well, the symptoms are often similar and it can be hard to tell the difference. Women, particularly, are sometimes misdiagnosed with a panic attack when in reality it is a dangerous cardiac condition. How can you tell them apart? Only a doctor can make the final diagnosis, but there are some subtle differences about heart beat too fast you should be aware of. Is it a Heart Attack or a Panic Attack? Check These Symptoms! Is it a crushing pain? 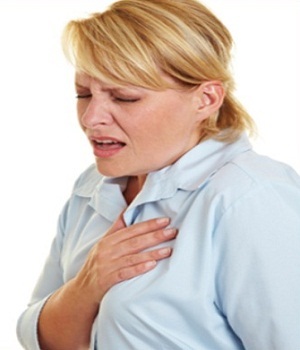 One of the most common symptoms described by heart attack sufferers is a crushing pain in the chest. The pain often starts mid-chest and may extend throughout a significant portion of the left side of the body. It may travel into the lower back, left arm, into the neck, and even radiate to the teeth and jaw area. With panic attacks, the pain, although uncomfortable, is not usually described as crushing and normally remains centralized in the chest. Unlike a heart attack, when the pain is steady, the pain may come and go. Are you vomiting? When you have a panic attack, nausea often results. Vomiting, however, occurs less frequently and rarely happens more than once. During a heart attack, repeated vomiting or bouts of diarrhea are common. Are you young and healthy? If you are in your teens, twenties, or thirties and physically fit, the chance of it being a heart attack is diminished. These are the most common ages for the onset of panic attacks, however, if you are over forty, obese, suffer other health problems, or have a family history of heart disease, you might fall into the high risk category for heart attacks. Just because you’re young and healthy, though, doesn’t mean you should ignore the possibility you could have a heart condition. Did you lose consciousness? A panic attack may cause someone to faint or pass out for a couple of minutes, but this is rare. A heart attack, on the other hand, often causes a person to lose consciousness. Are you feeling tingling all over? Tingling is a symptom of both heart attacks and panic attacks; however, it is normally confined to the left arm during a heart attack. When suffering from a panic attack, you may feel tingling sensations in arms, hands, legs, and feet. This is an effect of hyperventilation. People having a heart attack don’t normally hyperventilate. Do the symptoms go away after a few minutes? A panic attack normally begins to ease in ten minutes or less. Your heart beat will gradually slow and your breathing will return to normal. If you’re having a heart attack, the symptoms usually don’t let up quickly. If they continue unrelentingly for more than five minutes, dial 911 immediately. Do breathing exercises help? Panic attacks often include hyperventilation and can be calmed with certain breathing techniques. You can try breathing slowly in and out of a brown paper bag or the slow-count breathing method. Breathe in slowly through your nose for a count of three to five, hold it for a count of three to five, and then exhale slowly and completely through your mouth. If these techniques prove helpful in easing your shortness of breath and decrease the feeling of your heart beating too fast, you probably had a panic attack because breathing exercises do not ease heart attack symptoms. Whether you are having panic attacks, experiencing heart beating too fast, or other symptoms or a result of heart trouble, you need to know what is causing the problem. The first step is to seek medical help. 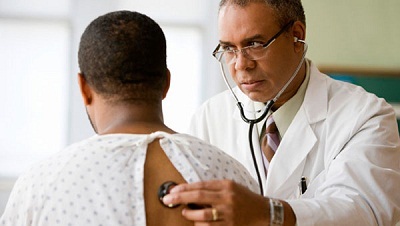 Get a complete physical evaluation to rule out problems with your heart. If your heart checks out okay, you may have had a panic attack. If you experience more than one panic attack, you could be suffering from a condition known as panic disorder. This is a fairly common condition that more than 6 million people in the United States are dealing with. It is not clear exactly what causes panic attacks, but fortunately, panic disorder is treatable. Doctors often find that psychotherapy and/or medication can successfully control the condition. Don’t take chances. If you feel your heart beat too fast, chest pain, nausea, and shortness of breath, seek immediate medical attention. If you convince yourself you are having a panic attack and you are wrong, it could be a deadly mistake. If it’s a panic attack, appropriate treatment could make “why is your heart beating too fast” a question of the past.